Lace up those running shoes and don't forget to grab a spoon! Lace up those running shoes and don't forget to grab a spoon! The 7th annual Kilwins Ice Cream Run is a this Saturday and runners can enjoy all you can eat ice cream once you cross the finish line. The event is held to raise awareness and support for children who are deaf or hard of hearing, who are learning to listen and talk. 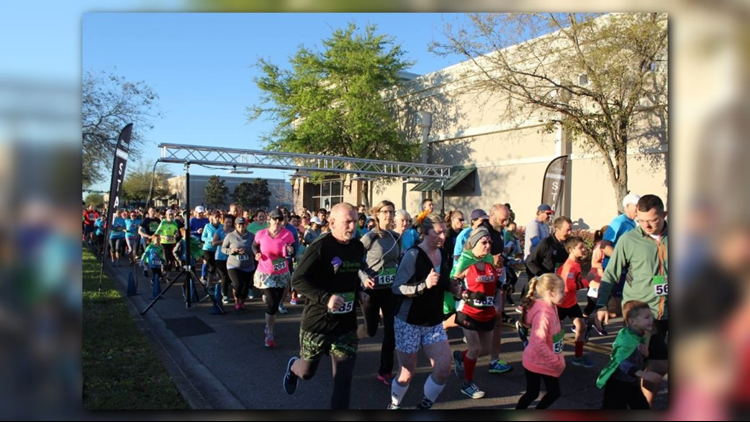 The event will feature a timed 5K race or a 1 Mile Fun Run/Walk around the St. Johns Town Center, a lively sponsor and vendor activity area, souvenir medal for all 5K participants who cross the finish line and a performance t-shirt for all registered participants. Wear a costume to be entered in a special prize.